Mutual Funds have become a booming financial product for today’s retail investors. It’s versatility in giving variety to investors suiting their risk profile, investment horizon and goals is tremendous. Now, people invest in various Equity and Debt mutual funds according to their goals, time horizon and risk profiles. With multiple mutual funds, the task that arises is to manage them well. 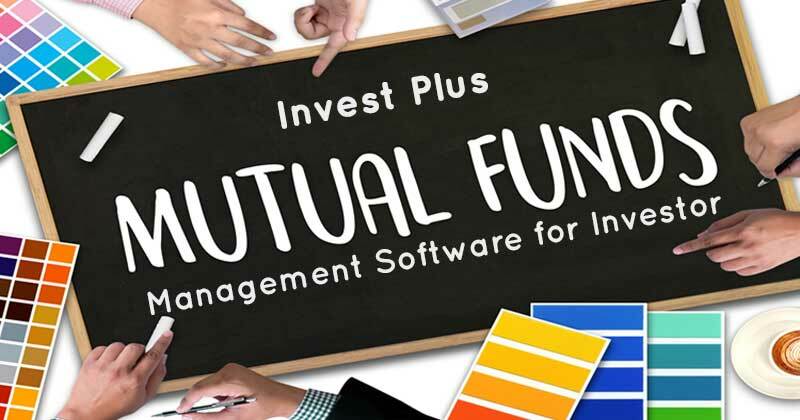 Invest Plus- Mutual Fund Management Software allows it’s users to do with ease. Let’s see how. You can manage your previous year’s mutual fund balances in different schemes by taking it into opening balance of this year through it’s ‘Opening’ feature. All the new funds purchased during the current year can be recorded and managed through the ‘Purchase’ feature. Likewise, all the funds sold in the current year can also be recorded and managed through the ‘Sold’ feature. When it comes to Mutual Funds, you’ve got to manage your SIPs. You can manage all your on-going SIPs in all the funds through the ‘Investment Plan’ feature. Nearing proximity to your goals and different market situations call for switching of funds. You can easily switch your funds in and out of different funds through the ‘Switch-in’ feature. Mutual Funds also payout dividends. With Invest Plus, you can manage them and choose between reinvesting those dividends or depositing in the bank. All this can be done with the ‘Dividend’ feature. To make your Mutual Fund management even easier, Invest Plus allows you to compare the current NAV with the purchase price to know the returns generated on investment. This will help you in taking better purchase and sale decisions. 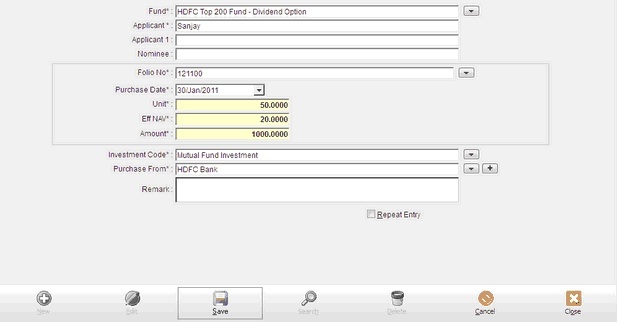 Through the ‘CAMS’ feature, you can import multiple mutual funds’ statements at a single destination and do away with all the labor of individually importing them. That said, now start managing your Mutual fund Investments in just a few clicks with Invest Plus.